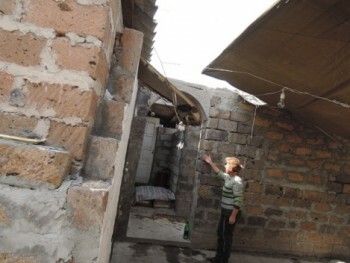 Nazaret from Syria found refuge in Armenia with his family. Photo credits: Gharib Harutyunyan/ WCC Armenia Round Table foundation. As many Syrians refugees in Armenia, he lived in a crowded flat and planned to start a business – furniture making workshop that Nazaret used to do in Aleppo. Unfortunately, his roommates robbed him and ran away. With no money left, he was evicted from the apartment. His second wife to be, Narine found him sitting on the corner of a street with his few belongings in a tiny bag. 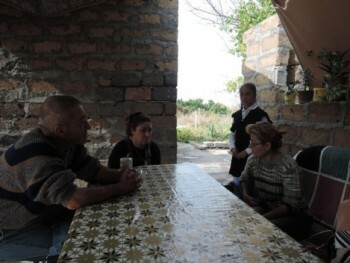 Now they live together in Jrashat village not far from Yerevan with Narine’s daughter and two grandchildren. The house they live in is far from being welcoming or adequate for a human habitat. B. Half of the house does not have ceiling; winds during spring and autumn take away the remaining parts of the roof; they do not have any cover on the floor, it’s only ground and cement with holes that give way to mice and rats to take control of the entire house; the water from rain and snow is pouring into the single bedroom where the kids sleep on mattresses on the floor; the kitchen, bathroom and toilet are in an open air. 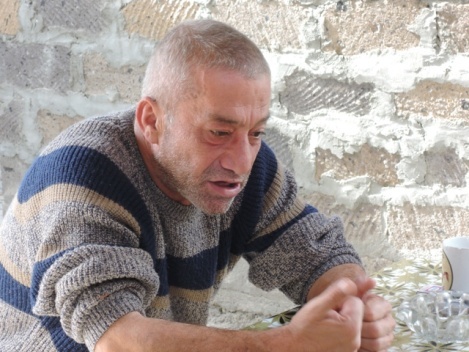 It is hard to imagine how these people will survive during the harsh winter months in Armenia. They do not even have gas to cook or take bath, just warm water in a big pan on fire outside. And the small piece of land in front of the house does not give a significant crop to live on. 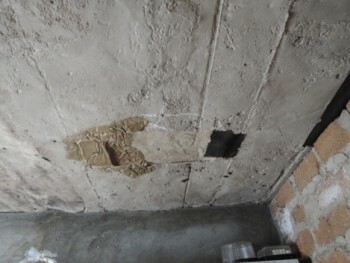 Several organizations help with food, clothes, medicine, and utility payments but lately this has become an exception Nazaret and his wife are sick, they need medical treatment and surgery, join us in our efforts to ensure a decent and humane life for the thousands of refugees in Armenia that need durable solutions. Photo credits: Gharib Harutyunyan/ WCC Armenia Round Table foundation. Project aims at integration and resillence building of Syrian refugees in Armenia.